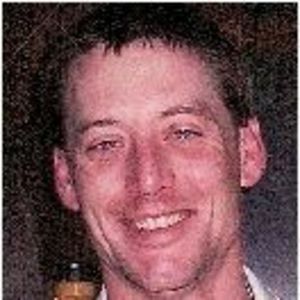 DRAKESBORO - Joshua Kent Mabrey, 33, of Drakesboro, died Saturday, June 16, 2012 at 9:56PM at his home. Mr. Mabrey was born August 30, 1978 in Muhlenberg County. He was a welder. Survivors include his parents, Tracy Mabrey of Bremen and Teressa and Tony Dukes of Drakesboro; brothers Jamey Mabrey and Cody (Whitney) Dukes, all of Drakesboro; sisters Kate Dukes and Samantha Richardson, both of Princeton; and companion Tina Maddox and daughter Tia, of Madisonville. Funeral services will be Wednesday, June 20, 2012 at 11:00AM at Tucker Funeral Home in Central City, with Rev. Floyd Steele officiating. Burial in Drake Cemetery in Drakesboro. Visitation will be Tuesday after 5:00PM at the funeral home. Online condolences may be made at www.tuckerfuneralhomes.com. My thoughts and prayers are with you for comfort and peace. So grateful to know that families are forever. Teressa i am so sorry to hear of your loss. I cannot even begin to imagine the pain that you are feeling by losing your son. I have known you for many years and I pray that God wraps his arms around you and embarrasses you with his love and healing. I pray that with his love and guidance you will become to have the peace that you are going to need to get through this. I am here for you if you should need me. I am praying for you and your entire family. Tia little did I know that you were closer to me that I had originally thought. even though I have only known you for almost a year we have became close. I remember in Communications class how you spoke so fondly of this man that you called dad. You told of how is was your real father even though it was not biological but there would never be anyone that could take his place or replace him. You spoke so lovingly of him. I grew up with his mother and we went to school together and with the person that she is I can understand how you felt that way of him. His mother is one of the kindest and sweetest people I have known in my life. So it is for that I feel that he became the wonderful father figure he did in your life. I am here for you if you need me. Take care of yourself and that precious baby that you are carrying. Just take pride in knowing that he is in a better place and that he will be watching over you and your little one. I will be praying for you, your mom and your little sister. May God Bless you all. Josh, RIP, my friend. You are sadly missed, but never forgotten. Tina, words cannot express the heartache I feel for you. You are enduring the loss of your best friend, your soulmate, your lover, your companion, your everything......your life. There are no words to heal the emptiness you feel inside. I pray that God comforts you. I pray for all of Josh's friends and family. Tia, Josh's daughter, who he was so very proud of, I send prayers of comfort and peace. it was an honor, for me personally, to have known Josh and it is my honor to call him my friend. He was a fine, caring, giving, easy going, and most importantly, kind-hearted young man. For some reason, God takes the best. We will see you again, some SWEET day, Josh. Please don't leave me Josh. I don't know how to be without you. I love you and miss you and always will. My heart, thoughts, and love go out to You, Tina and Tia. I grieve your loss of josh who was a life partner, friend, love, father, and Grandfather. He is and will continue to be missed. Love you, and miss you bro- you will always be missed by many. May God be with you and comfort you and your family.If there is anything I can do Teresa and Tony let me know.I will keep you in my prayers.God Bless you sorry to hear of your loss.